"FBO" in Financial Documents—What Does This Mean? What does FBO stand for in financial documents? The designation “FBO” translates to “for the benefit of.” It can appear in a variety of financial and legal documents. It most commonly appears in living trust documents, but an FBO designation can appear on any account or asset that carries a beneficiary designation. The translation works out something like this: Jane Smith has created a living trust under an agreement dated February 17, 2018. The trust was created to own a life insurance policy and collect its eventual proceeds. The trust is for the benefit of her sons, Jake and Joe Smith, who will inherit the policy's death benefits when she dies. The FBO designation effectively establishes the living trust’s purpose. Jake and Joe are the trust's primary beneficiaries. "Management Trust Group, FBO Jane Smith / Account #XXXXX"
The funds have been directed to the new account. They're payable to the plan adminstrator, but they're for the benefit of Jane. Had the check been made out directly to Jane, it would have been counted as a 401(k) distribution and would incur taxes and penalties if she didn’t deposit the money directly into another retirement account within 60 days. But with the FBO designation, the transfer is made without ever going through Jane's hands so it's automatically not taxed. Children can’t legally hold their own money or property, so an FBO designation will also sometimes appear on checks or other financial instruments directing funds to them. For example, if a minor were to inherit $50,000 from a relative’s estate, the check might read “FBO Sally Smith” after the name of Sally’s mother as the payee. If the parents have died, the designation would name the conservator or trustee who will be managing the child’s property and money until she reaches the age of majority. This might also be the case if the beneficiary of the funds is mentally incapacitated or otherwise unable to handle her own affairs so someone else has been appointed to do so for her. An FBO designation might also appear on an electronic transfer of funds to a bank. The check might be made out to the bank, but it will immediately be transferred to the specified beneficiary’s account. NOTE: Laws can change periodically and the above information may not reflect the most recent changes. Please consult with an attorney or financial advisor for the most up-to-date advice if you’re considering naming an FBO beneficiary to any account. 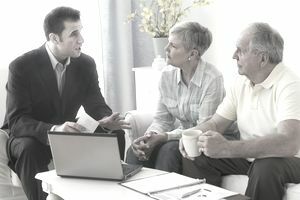 The information contained in this article is not intended as legal advice and it is not a substitute for legal advice. Understanding Your Will: What Does "Per Stirpes" Mean? What Does an Executor or Executrix Do in a Probate Proceeding? Are You One of the 70% of Americans Without a Will?